There are a number of dark roleplay environments in SL, but City of Lost Angels (CoLA) is the queen of them all. The CoLA Combat System, a marriage of LSL and SQL, has created an efficiently run mini-MMO that packs the sim to capacity all day and night. Now they’re planning a move to an island of their own (purchased as of the 10th according to the website) and things will only get more insane from here. Let’s take a closer look at what these creepy cats are up to. Reader Evolver Dowren recommended that I stop by Suffugium. I’m very glad I did. I’m not sure why distopic builds attract me … I’m not, in general, interested in futuristic sorts of backdrops. Perhaps it is the similarities between this dark place and Victorian London, with the steam rising from the grates in the narrow shadowed streets, the sense of danger just around the next corner … ah, but I am dating myself, and that doesn’t do at all! In any case, Suffugium did not disappoint. I thought I’d come back with more multimedia. No idea if I’m ever going to do another one… let me know if you like it and I’ll be more inclined to. God… listening to it now… you can so tell I caught a cold today. I spent a lot of time in the rain, unfortunately. Last week was a week off of technology, and I think this week can be a week off of … outside. RSS and other meta-data for the podcast can be found here. 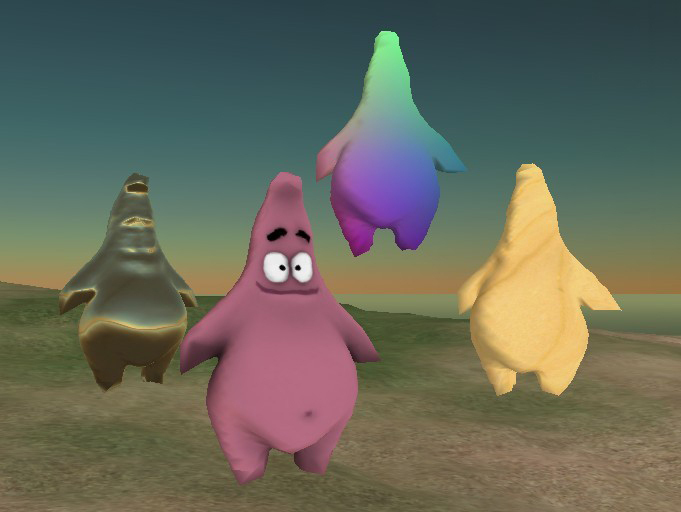 Long before floopy prims were even a gleam in LL’s eyehand, I made several different animated texture pennants to put on my tents as the alternatives – rotating twisted prims or waving prims or particles – just didn’t appeal to me. I had no illusions that the pennants were fabulous, but I liked them. I put them for sale and gave a lot away to tent buyers. In a playful way, Qarl Linden has revealed some information of a new prim function that will be coming sometime. Exploring the caves of Q last night. Qarl has provided some Jetsonian jetpacks that emit smoke rings. You are currently browsing the Second Life Games blog archives for April, 2007.